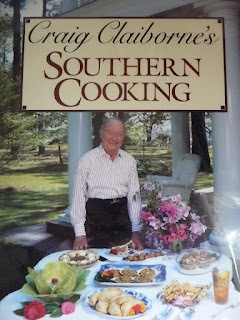 I couldn’t get enough of Craig’s good southern cookin’, so here we are again with a couple more recipes. 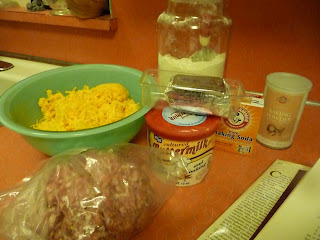 First, we’re going to make our own sausage, then we’ll fix sausage biscuits with the homemade sausage. Sound good? 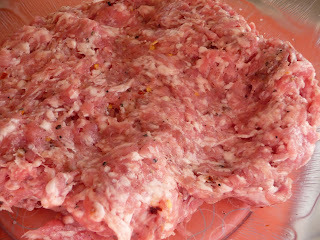 You could grind your own pork here if you’re so inclined, but the recipe just calls for ground pork and that’s what I used. 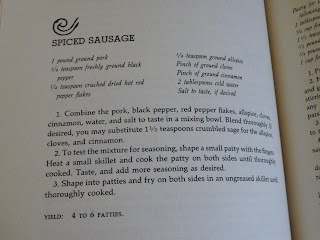 This recipe is quite different from most sage breakfast sausage recipes and calls for allspice, cinnamon, ground cloves and red pepper flakes. 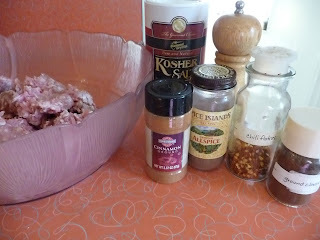 So, first off, you mix the spices with the pork and mix it through. 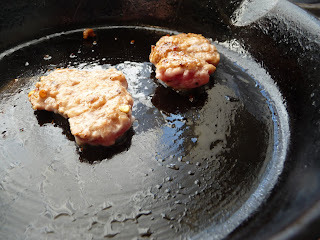 Then you should test it for seasoning. 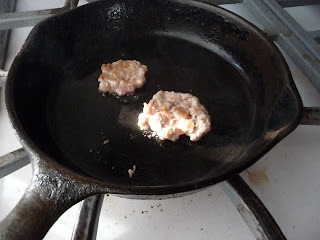 I don’t really recommend you just taste a hunk of raw sausage, so make a tiny patty and cook it in a pan. 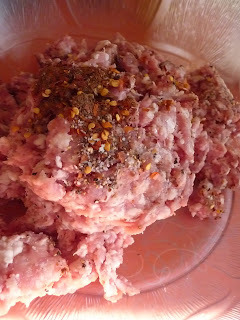 They needed salt and pepper, and more allspice and red pepper flakes. 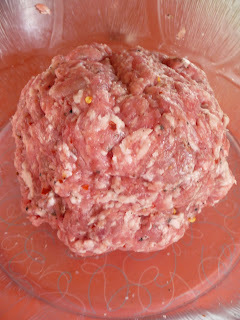 Cook up another couple of patties…. This time it was just right! 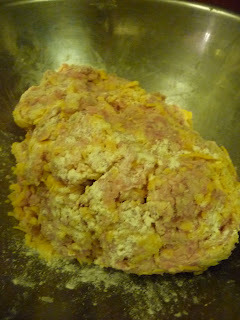 You can use this sausage right away for breakfast patties, but it also keeps if you want to use it later. 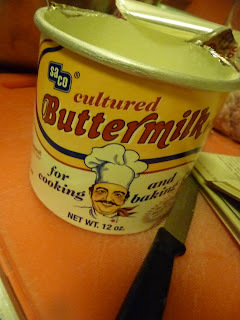 I actually refrigerated it overnight so I could make the biscuits later. Biscuit time! These are not “biscuits” in the sense that they are a flat disc of dough to put jam on. 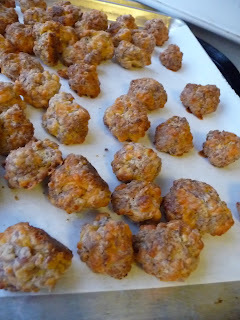 They are little balls of sausage and cheese goodness. They could be used as cocktail food or alongside an omelette. 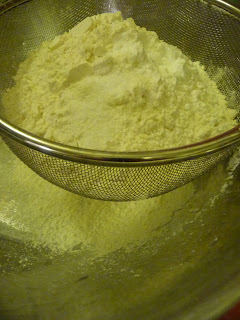 Sift the flour, baking soda, baking powder and salt. 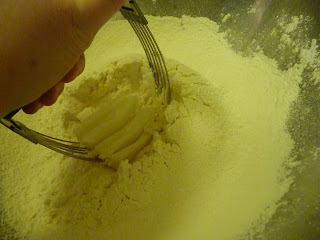 buttermilk biscuits on a moment’s notice. 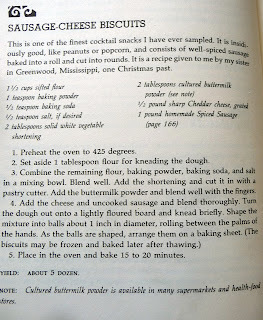 But it is also used in this recipe dry. Just mix it through with your fingers. 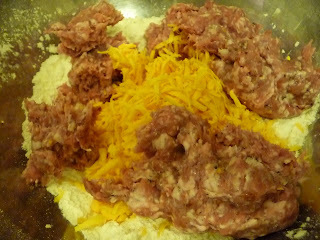 Next comes the sausage and grated cheese. 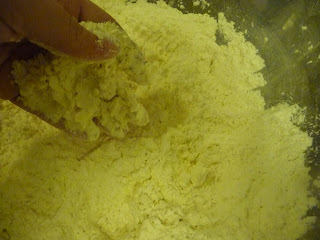 I used a bit more flour than the recipe called for, I just added it in until it felt right–like a dough. 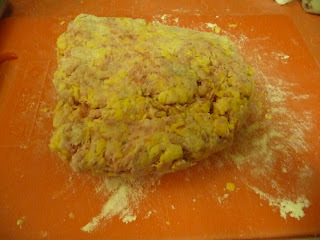 Turn it onto a floured board and knead it a bit so that all the ingredients are combined. 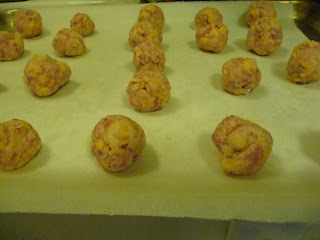 Roll the biscuits into 1″ balls and place on a baking sheet. You may want to use parchment—I didn’t on the first try and they stuck a little bit. 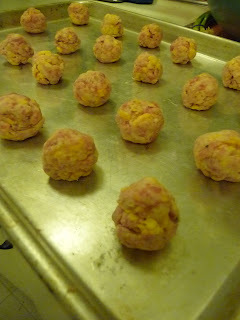 In a hot oven for about 20 minutes, and viola! 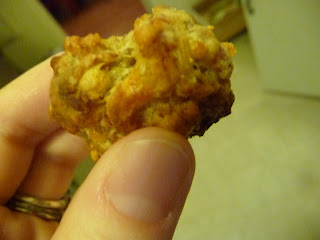 Little nuggets of goodness. Looks tasty, doesn’t it? Well I’ll tell you, it was. I ate about 20 of them, so I should know. FRITO PIE for the BIG GAME?